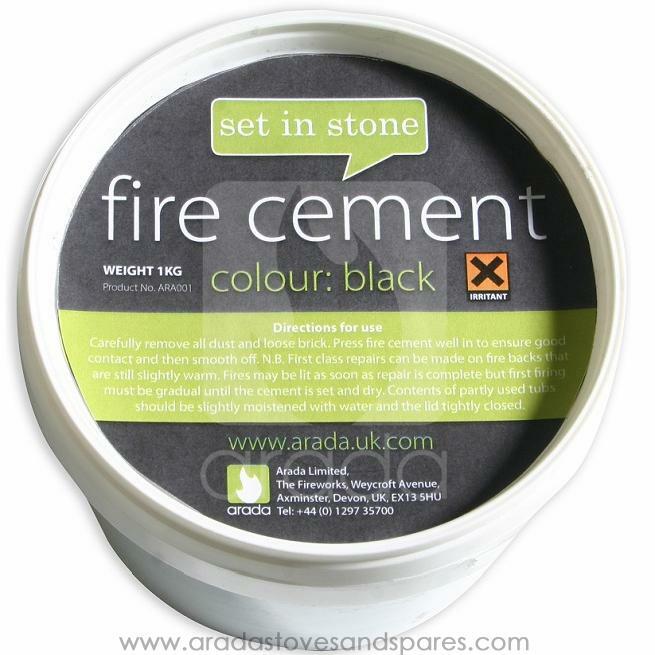 One 1Kg tub of black fire cement. Carefully remove all dust and loose brick. Press fire cement well in to ensure good contact and then smooth off. N.B. First class repairs can be made on fire bricks that are still slightly warm. Fires may be lit as soon as repair is complete but firing must be gradual until the cement is set and dry. Contents of partly used tubs should be slightly moistened with water and the lid tightly closed.